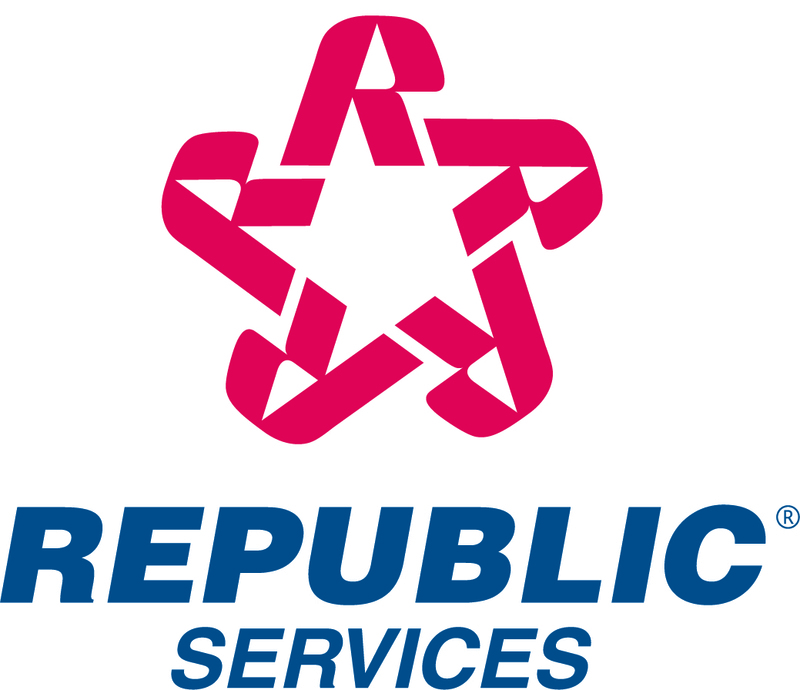 Republic Services, Inc. (NYSE: RSG) today reported net income of $234.9 million, or $0.71 per diluted share, for the three months ended June 30, 2018, versus $202.9 million, or $0.60 per diluted share, for the comparable 2017 period. Excluding certain gains and expenses, on an adjusted basis, net income for the three months ended June 30, 2018, was $239.6 million, or $0.73 per diluted share, versus $205.9 million, or $0.61 per diluted share, for the comparable 2017 period. "We continued our strong start to the year in the second quarter, delivering double-digit growth in earnings and free cash flow per share. We've invested over $120 million in value-enhancing acquisitions and returned approximately $700 million of cash to our shareholders since the beginning of the year," said Donald W. Slager, president and chief executive officer. "The strength of the solid waste business and the continued successful execution of our strategy enable us to offset recycling headwinds and reaffirm our full-year EPS and free cash flow guidance." EPS was $0.71 per share. Adjusted EPS, a non-GAAP measure, was $0.73 per share, an increase of 20 percent over the prior year. Cash provided by operating activities was $610 million and adjusted free cash flow, a non-GAAP measure, was $323 million, an increase of approximately 173 percent over the prior year. Adjusted free cash flow per share increased 180 percent over the prior year. Total cash returned to shareholders through dividends and share repurchases was $328 million. Total revenue increased 3.9 percent over the prior year, excluding the impact of the new revenue standard. Revenue growth from average yield was 2.1 percent and volume increased 0.6 percent. Core price increased revenue by 3.6 percent, which consisted of 4.4 percent in the open market and 2.3 percent in the restricted portion of the business. Adjusted EBITDA was $690 million and adjusted EBITDA margin was 27.4 percent of revenue. The solid waste business contributed 50 basis points of margin expansion, which was more than offset by headwinds from the recycling business and rising fuel costs. SG&A expense as a percentage of revenue decreased by 80 basis points over the prior year, excluding the impact of the new revenue standard. The Company invested $56 million in tuck-in acquisitions and an additional $42 million in early July, bringing the Company's total year-to-date investment to $123 million. Republic continued to convert CPI-based contracts to more favorable pricing mechanisms for the annual price adjustment. The Company now has approximately $590 million in annual revenue tied to either a waste-related index or a fixed-rate increase of 3 percent or greater. The Company's credit rating was upgraded by Moody's to Baa2 from Baa3. The upgrade speaks to the stability and predictability of the Company's cash flows. Republic was named one of the World's Most Innovative Companies by Forbes magazine. The list includes companies investors believe to be forward thinking and will continue to achieve profitable new growth through future advances. Republic reaffirmed its full-year adjusted diluted EPS guidance of $3.05 to $3.10 and its full-year adjusted free cash flow guidance of $1,090 million to $1,115 million. If recycled commodity prices remain at July levels for the remainder of the year, the Company would expect results to be at the lower end of the guidance range. Cash Utilization: Republic expects to invest approximately $200 million in tuck-in acquisitions; the Company previously guided to over $150 million. Additionally, the Company expects to return approximately $1.2 billion total cash to shareholders, through approximately $450 million of dividends and $700 million in share repurchases. Taxes: The Company expects an effective tax rate of approximately 24 percent for the full year. Please refer to the Information Regarding Forward-Looking Statements section of this document. Republic continues to increase cash returns to shareholders, and announced today that its Board of Directors approved a 3-cent increase in the quarterly dividend. The quarterly dividend of $0.375 per share for shareholders of record on Oct. 1, 2018, will be paid on Oct. 15, 2018. "We are pleased to raise our quarterly dividend 9 percent," Slager said. "This is the ninth consecutive year we've increased our dividend, demonstrating our confidence in future cash flows and commitment to increase cash returned to shareholders." Adjusted diluted earnings per share, adjusted net income, adjusted EBITDA, adjusted EBITDA margin, and adjusted free cash flow are described in the Reconciliation of Certain Non-GAAP Measures section of this document. Included in Exhibit 99.2 to Republic's Current Report on Form 8-K filed with the Securities and Exchange Commission on July 26, 2018 is a proforma presentation of our 2017 financial results had we adopted the new revenue standard as of January 1, 2017. You should read the following information in conjunction with our audited consolidated financial statements and notes thereto appearing in our Annual Report on Form 10-K as of and for the year ended December 31, 2017. All amounts below are in millions and as a percentage of our revenue, except per share data. The results presented below for the three and six months ended June 30, 2017 reflect our historical presentation prior to the adoption of the new revenue recognition standard. A pro forma presentation of our financial results for the three and six months ended June 30, 2017 had we adopted the new revenue recognition standard as of January 1, 2017 is included as Exhibit 99.2 to Republic's Current Report on Form 8-K filed with the Securities and Exchange Commission on July 26, 2018. (1) In accordance with our adoption of the new revenue recognition standard, municipal franchise fees were presented as a reduction to revenue for the three and six months ended June 30, 2018. Similar fees were presented as a cost of operations for the three and six months ended June 30, 2017. (2) In accordance with our adoption of the new revenue recognition standard, rebates paid to customers associated with recycled commodities were presented as a reduction to revenue for the three and six months ended June 30, 2018. Similar costs were presented as a cost of operations for the three and six months ended June 30, 2017. Average yield is defined as revenue growth from the change in average price per unit of service, expressed as a percentage. Core price is defined as price increases to our customers and fees, excluding fuel recovery fees, net of price decreases to retain customers. We also measure changes in average yield and core price as a percentage of related-business revenue, defined as total revenue excluding recycled commodities and fuel recovery fees, to determine the effectiveness of our pricing strategies. Average yield as a percentage of related-business revenue was 2.2% and 2.3% for the three and six months ended June 30, 2018, respectively, and 2.7% and 2.6% for the same respective periods in 2017. Core price as a percentage of related-business revenue was 3.9% and 4.0% for the three and six months ended June 30, 2018, respectively, and 2.5% and 3.4% for the same respective periods in 2017. (1) Disposal fees and taxes included municipal franchise fees of $38.2 million and $75.9 million for the three and six months ended June 30, 2017, respectively. In accordance with our adoption of the new revenue recognition standard, these fees were presented as a reduction to revenue for the same respective periods in 2018. (2) Cost of goods sold included rebates paid to customers associated with recycled commodities for the three and six months ended June 30, 2017. In accordance with our adoption of the new revenue recognition standard, these costs were presented as a reduction to revenue for the same respective periods in 2018. Reported diluted earnings per share was $0.71 and $1.43 for the three and six months ended June 30, 2018, as compared to $0.60 and $1.15 for the same periods in 2017. During the three and six months ended June 30, 2018 and 2017, we recorded a number of charges and other expenses and gains that impacted our EBITDA, pre-tax income, net income attributable to Republic Services, Inc. (net income – Republic) and diluted earnings per share. (1) The aggregate impact to adjusted diluted earnings per share totals to less than $0.01 for the three months ended June 30, 2018. (2) The aggregate impact to adjusted diluted earnings per share totals to less than $0.01 for the three months ended June 30, 2017. (1) The aggregate impact to adjusted diluted earnings per share totals to less than $0.01 for the six months ended June 30, 2018. (2) The aggregate impact to adjusted diluted earnings per share totals to less than $0.01 for the six months ended June 30, 2017. (3) Line items in this column do not total to $1.15 per share due to rounding. We believe that presenting adjusted EBITDA, adjusted pre-tax income, adjusted net income – Republic, and adjusted diluted earnings per share, which are not measures determined in accordance with U.S. GAAP, provides an understanding of operational activities before the financial impact of certain items. We use these measures, and believe investors will find them helpful, in understanding the ongoing performance of our operations separate from items that have a disproportionate impact on our results for a particular period. We have incurred comparable charges and costs in prior periods, and similar types of adjustments can reasonably be expected to be recorded in future periods. Although our business regularly incurs startup costs under municipal contracts, we specifically identify in the tables above the startup costs with respect to an individual municipal contract (and do not adjust for other startup costs under other contracts). We do this because of the magnitude of the costs involved with this particular municipal contract and the unusual nature for the time period in which they are incurred. Our definition of adjusted EBITDA, adjusted pre-tax income, adjusted net income – Republic, and adjusted diluted earnings per share may not be comparable to similarly titled measures presented by other companies. As of June 30, 2018 and December 31, 2017, accounts receivable were $1,112.2 million and $1,105.9 million, net of allowance for doubtful accounts of $30.6 million and $38.9 million, respectively, resulting in days sales outstanding of 40.2, or 27.9 days net of deferred revenue, compared to 40.3, or 28.3 days net of deferred revenue (adjusted for the impact of the new revenue recognition standard), respectively. In April 2018, we paid a cash dividend of $113.3 million to shareholders of record as of April 2, 2018. As of June 30, 2018, we recorded a quarterly dividend payable of $112.3 million to shareholders of record at the close of business on July 2, 2018, which was paid on July 16, 2018. During the three months ended June 30, 2018, we repurchased 3.2 million shares of our stock for $214.9 million at a weighted average cost per share of $67.62. The amount remaining under the share repurchase authorization as of June 30, 2018 was $1.4 billion. We believe that presenting adjusted diluted earnings per share provides an understanding of operational activities before the financial impact of certain items. We use this measure, and believe investors will find it helpful, in understanding the ongoing performance of our operations separate from items that have a disproportionate impact on our results for a particular period. We have incurred comparable charges in prior periods, and similar types of adjustments can reasonably be expected to be recorded in future periods. Although our business regularly incurs startup costs under municipal contracts, we specifically identify in the table above the startup costs with respect to an individual municipal contract (and do not adjust for other startup costs under other contracts in 2018). We do this because of the magnitude of the costs involved with this particular municipal contract and the unusual nature for the time period in which they are incurred. Our definition of adjusted diluted earnings per share may not be comparable to similarly titled measures presented by other companies. This press release contains certain forward-looking information about us that is intended to be covered by the safe harbor for "forward-looking statements" provided by the Private Securities Litigation Reform Act of 1995. Forward-looking statements are statements that are not historical facts. Words such as "guidance," "expect," "will," "may," "anticipate," "plan," "estimate," "project," "intend," "should," "can," "likely," "could," "outlook" and similar expressions are intended to identify forward-looking statements. These statements include information about our plans, strategies and prospects. Forward-looking statements are not guarantees of performance. These statements are based upon the current beliefs and expectations of our management and are subject to risk and uncertainties that could cause actual results to differ materially from those expressed in, or implied or projected by, the forward-looking information and statements. Although we believe that the expectations reflected in the forward-looking statements are reasonable, we cannot assure you that the expectations will prove to be correct. Among the factors that could cause actual results to differ materially from the expectations expressed in the forward-looking statements are acts of war, riots or terrorism, and the impact of these acts on economic, financial and social conditions in the United States as well as our dependence on large, long-term collection, transfer and disposal contracts. More information on factors that could cause actual results or events to differ materially from those anticipated is included from time to time in our reports filed with the Securities and Exchange Commission, including our Annual Report on Form 10-K for the year ended December 31, 2017, particularly under Part I, Item 1A - Risk Factors, and our Quarterly Report on Form 10-Q for the quarter ended March 31, 2018, particularly under Part II, Item 1A - Risk Factors. Additionally, new risk factors emerge from time to time and it is not possible for us to predict all such risk factors, or to assess the impact such risk factors might have on our business. We undertake no obligation to update publicly any forward-looking statements whether as a result of new information, future events or otherwise, except as required by law.